Image Courtesy Scott Brinegar/Disney ParksAfter you’re done opening presents on Christmas Day, you can check out some great music on Disney Parks Frozen Christmas Celebration, airing on ABC. 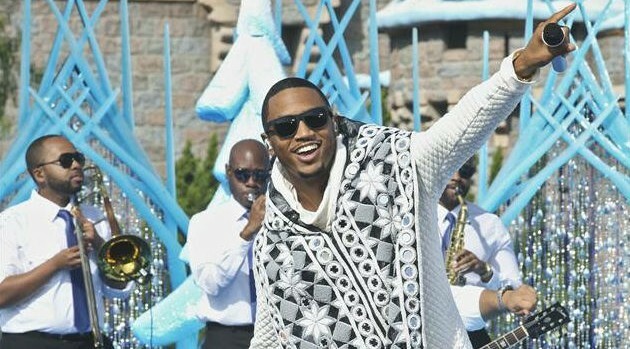 The show, hosted by Good Morning America‘s Robin Roberts, will feature Trey Songz performing a holiday medley, including as “All I Want for Christmas Is You,” “Mistletoe” and “Shake Up Christmas,” from Disney’s Hawaiian resort Aulani. There will also be plenty of Frozen-themed festivities, including appearances by Elsa and Anna, as well as some touching reunions of real-life families. The show is set to air at 10 a.m. ET.